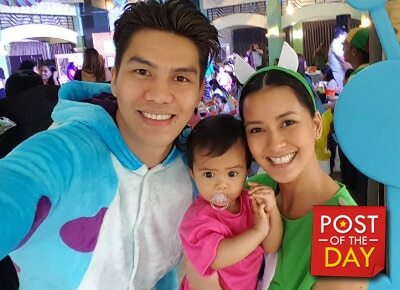 It was a festive occasion fo Bianca Gonzalez and husband JC Intal as they recently celebrated their daughter Lucia’s first birthday last Saturday, October 15. JC took to Instagram to express his gratefulness to his wife for preparing the party. As a happy dad, likewise professed his love for their unica hija. “Happy birthday, anak! Mahal na mahal ka namin ng mommy mo. I know you won't even remember this day but I want the world to know how much you've filled our hearts with love, joy and never ending happiness. I can't believe it's been a year already,” he wrote. “Thank you (Bianca), my super wife, for preparing this birthday party for Lucia. And also for your 1 year of supply of breastmilk for Lucia,” he added. Roxanne Barcelo, couple Marian Rivera and Dingdong Dantes with their baby Letizia were among the celebrities who attended the party.